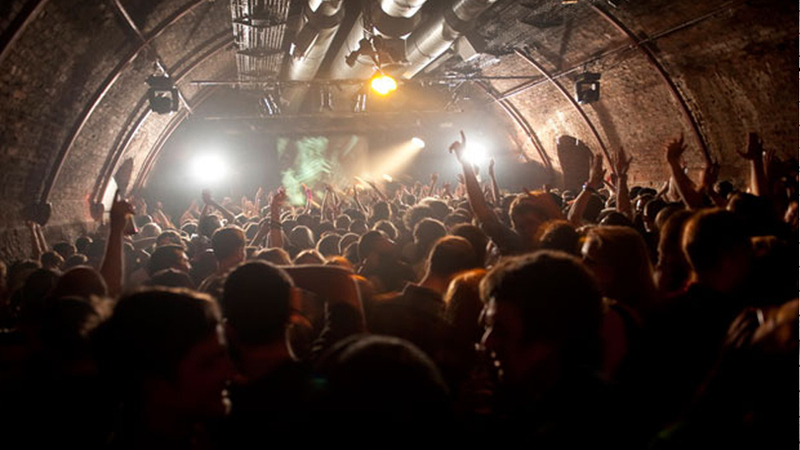 Remember The Arches: What Will the Council Elections Mean for Glasgow Nightlife? It’s not an issue that has been much discussed ahead of Scotland’s councils going to the polls on Thursday for the first time in five years – yet licensing is one area where our local authorities do have a decisive say. By removing its ability to hold club nights, they jeopardised the venues’ income stream which had actually managed to achieve that rare thing in the arts: a sustainable business model. Through operating one of the city’s largest club venues, profits were poured into an extensive cultural programme. Many of Scotland’s leading lights in theatre and the arts would not be where they are today without the support they received from The Arches and the community it fostered. At the same time, the city lost a vital club space at the heart of the city centre that has not been replaced. The cavarnous arches below Central Station from which the venue got its name now lie empty. Owned by Network Rail, they are – strangely – not even being advertised for rent on the organisation’s property site. It was a tragedy for the city and unlike so many of the other difficult decisions which cash strapped councils have been “forced” to make over recent years, due to funding short falls, this is one that could definitely have been easily avoided, with no revenue implications for the council. Decisions like this matter. They say a lot about the city that the city we live, what it values and what it stands for. Well, will we abolish closing times for clubs and bars? It seems unlikely. As far as cultivating a night life culture on par with say, Berlin or Barcelona, goes, the Labour, SNP and Green manifestos don’t say a word on the subject, despite the council recently publishing a glossy strategy on the “aspirational transformation” of the city centre’s network of lanes into buzzing nightlife hotspots (which is out for consultation until June). An important aspect of Glasgow’s cultural mix is completely missing from the manifestos – despite being at the core of one of the most controversial decisions that Glasgow City Council have made in recent years. The closure of a night club is obviously far from the greatest injustice to ever happen in this city. But it was a decision that our council actually had responsibility for, rather than their usual excuse for unpopular decisions where they have to “pass on” SNP/Tory (delete as appropriate) cuts. Ultimately three Labour and one SNP councillor supported the decision to remove the night club license. Superficially this was a formal, judicial decision taken on the basis of what evidence had been presented that day by the police and The Arches’ lawyers respectively, within the narrow confines of licensing law. This is only half the story – it was in truth a political decision influenced by an organised campaign against the club by Police Scotland, who coerced the venue into compiling the case against themselves. The Arches were made to assiduously record door searches and report any findings to the cops, only to find that same evidence used against them at the hearing. At the time, the newly elected SNP MPs, then just a few weeks into post, did make noises about supporting The Arches and finding ways to “allow it to continue to operate, with or without a reinstated late license”. Green MSP Patrick Harvie put forward a motion in the Scottish Parliament, supported by several SNP MSPs and one Labour MSP, calling on the authorities to reinstate its license and support its future “as an arts venue and as part of Glasgow’s vibrant social scene.” Of course, nothing happened and the venue now lies empty, the organisation that ran it has gone and the music and arts scenes it supported either no longer exist or have found a home elsewhere. Glasgow deserves better than a local authority that is bullied into making kneejerk reactions on important matters of public safety, drugs and licensing. Turnout in Thursday’s election – particularly among young people – will probably be terrible, a combination of election fatigue, voter apathy and a lack of clarity on what the election is even about. It’s not about referendums or even about Brexit. It is, however, a chance to shape the sort of city we want to live in. Let’s not forget what happened to The Arches and push for something better from our council. As Glasgow Labour Prepare to Lose Control, Are They Out of Control? ← Can the SNP Really Extend The Glasgow Subway? Below is the text of a motion passed by the Scottish Liberal Democrats conference recently. It was drafted and proposed by me, Ewan Hoyle, the candidate for Pollokshields at this local election. We have a policy that I hope will address your concerns, and might be worth a few votes. The number of drug-related deaths in Scotland has reached new heights in each of the last two years with that number reaching 706 in 2015. NHS Greater Glasgow and Clyde are exploring the potential of safe injecting and heroin assisted treatment facilities in addressing harm to drug users and the wider community. Front of house pill testing has been deployed for the first time in the UK last summer, with drug users able to submit pills for testing at the Secret Garden Party festival in Cambridgeshire in July. 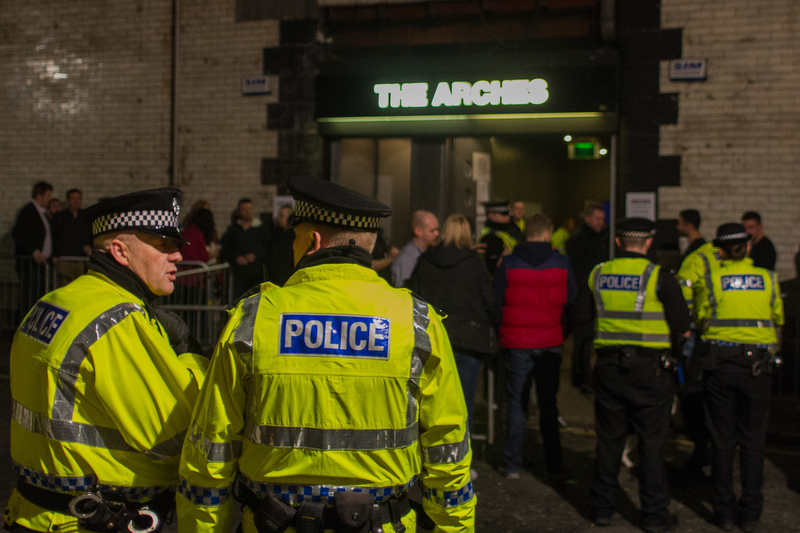 The closure of Glasgow’s The Arches nightclub and arts venue following licensing restrictions due to drug-related incidents. Existing Liberal Democrat policy supporting the decriminalisation of drug possession and provision of heroin assisted treatment clinics. Existing drug law enforcement strategies will continue to be unsuccessful in reducing drug-related deaths. Scotland can reverse its drug-related death trends if it learns from the experiences of other countries that have been more ambitious to save lives. It is wrong to punish venues for incidents on their premises when those incidents could be prevented through evidence-based harm-reduction practices at a community level. The Scottish government to support – politically and financially – the setting up of safe injection, heroin assisted treatment, and drug-testing facilities in all localities where there is a need. The Scottish Government to encourage the de facto decriminalisation of the possession of drugs for personal use. The above measures to be combined with factual public health education on the dangers of drugs and safe usage. Licensing decisions made by councils to be based on venues’ efforts to keep their customers safe rather than their efforts to assist the police in enforcing drug laws. I stumbled across this page after going through a nostalgia journey, reminiscing over many club nights at the Arches. A couple of years after it’s closure, its good to reflect on what has happened since. The aggressive build of the new “Motel One” hotel, which now sits right bang on top of the old smoking area, confirms the hit job on the Arches. A quick look on the Councils website shows that planning permission was granted back in November 2012. Contractors, however, were appointed within 3 months of the Arches closing, with work starting soon after. Why would a “£22 million hotel” want to be created on top of one of Scotlands biggest nightclubs? They must have been given assurances that the Arches wouldn’t have been a problem, and that it’s time was up. The council, with the assistance from the police, had the Arches in their sights the moment planning permission was granted. Looking back now the people of Glasgow didn’t do enough to protect one of it’s founding art centres, the difficult questions weren’t asked. After the work Londoners done on saving Fabric, it would’ve been possible for Glaswegians to save one of Glasgows iconic spots. I just hope that the land in between Subclub and the Crystal Palace doesn’t get bought up anytime soon, or that could spell trouble for our subby!